What does research say about how immigration impacts crime in U.S. communities? We turned to the experts for answers. During the past 20 years, Immigration-crime research has found no backing for the immigration-crime connection. 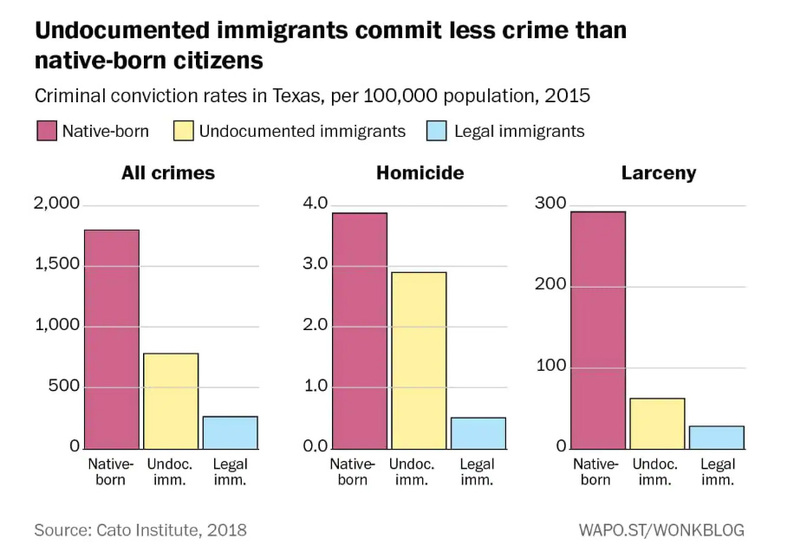 While there are always individual exceptions, these are of very small percentages, and the real numbers demonstrate that immigrants commit fewer crimes, on average, than native-born Americans. 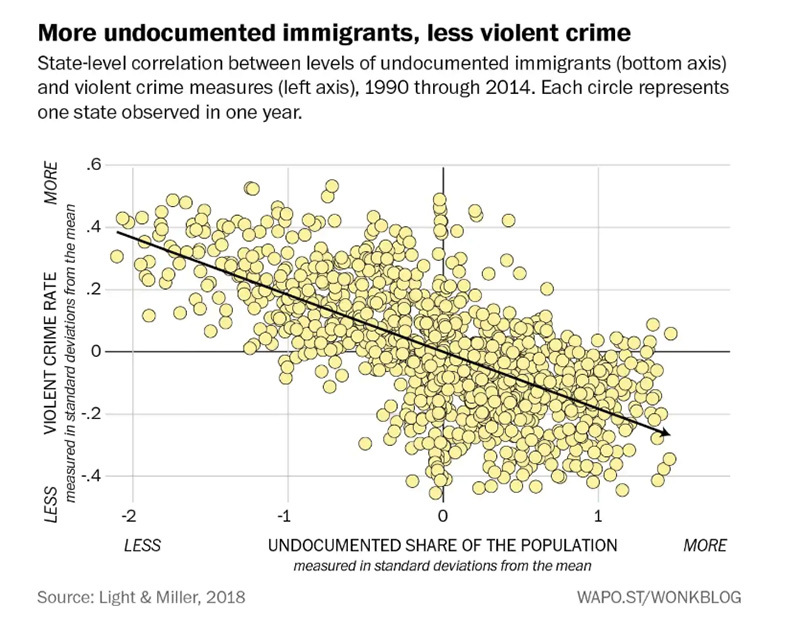 Interestingly, it was also found that big cities with large immigrant populations have lower crime rates, on average, than those with small immigrant populations. Census data spanning four decades from 1970 to 2010 for 200 randomly selected metropolitan areas was analyzed by researchers, which allowed them to assess whether the relationship between immigration and crime changed with the broader U.S. economy and the origin and number of immigrants. The most important finding from the research was that for murder, robbery, burglary and larceny, as immigration increased, crime decreased, on average, in American metropolitan areas. The only crime that immigration had no impact on was aggravated assault. These associations are strong and stable evidence that immigration does not cause crime to increase in U.S. metropolitan areas, and may even help reduce it. Researchers believe that it’s possible that immigration reduces crime by revitalizing urban neighborhoods and by creating vibrant communities through generating new economic growth, thus reducing poverty levels in such areas and the associated crime that comes with poverty. The first study, published by the libertarian Cato Institute in February, examines criminal conviction data for 2015 provided by the Texas Department of Public Safety. It found that native-born Americans committed more crimes than both illegal immigrants and legal immigrants. There were 56 percent fewer crimes committed by illegal immigrants than by native-born Americans in Texas in 2015. This revealing study, published in the journal Criminology, looked at population-level crime rates: Do places with higher percentages of undocumented immigrants have higher rates of crime? The answer came simply from looking at the very real data; a very clear no. From all of the research one finding remains clear: Cities and neighborhoods with greater concentrations of immigrants have lower rates of crime and violence for both legal and illegal immigrant populations. While many have been coerced into believing that immigrants are suddenly dangerous, the real numbers and statistics show that immigrants are actually safer to be around than those who were born in America. 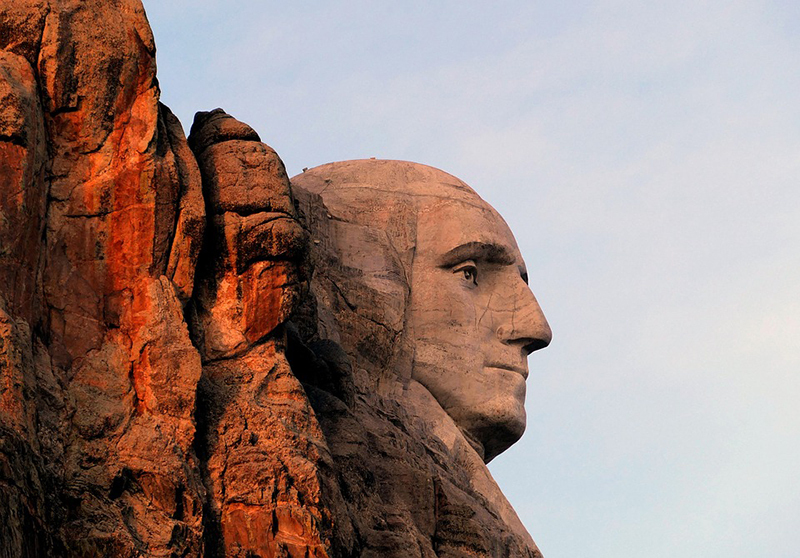 America is a great nation built on immigration, the great melting pot of the world where people of various cultures come together to live in a land of freedom. If you know a recent immigrant or meet someone from another country, go out of your way to be a little kinder to them this week. All of our ancestors were immigrants just a few generations ago, at a time when America welcomed all people with open arms without papers or ID’s. 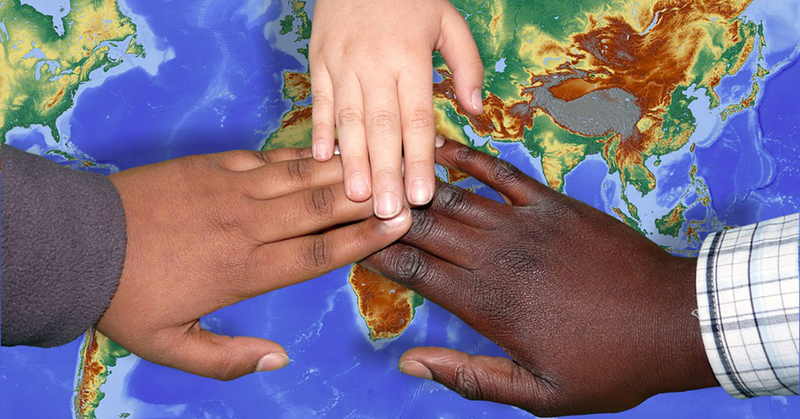 All humans are also one family, we’re all brothers and sisters, who immigrated out of Africa just a few thousand years ago. Jesus also did teach that those who repent from uncompassionate ways and return to loving and helping one another can be saved. 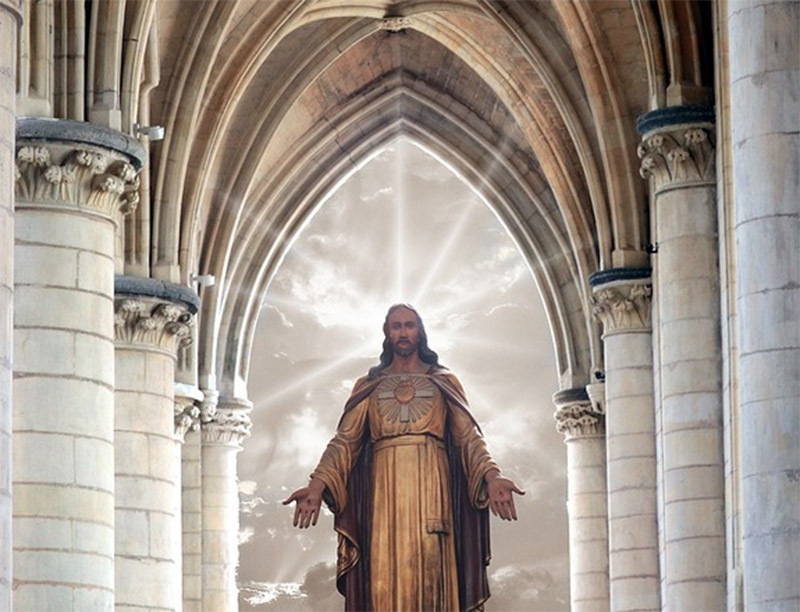 As the majority of immigrants entering America illegally are families trying to escape poverty, starvation, and who are trying to make better lives for themselves and for their children by living in America, let’s remember the compassionate teachings of Jesus Christ and welcome them with open arms, and with open hearts, and help them to make better lives.